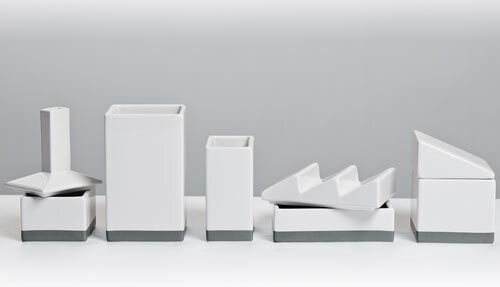 The individual pieces include pen/pencil containers and trinket boxes of various shapes and sizes. 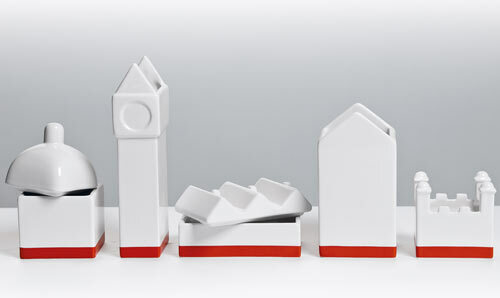 Each set is made out of white porcelain with a stripe on the bottom denoting its structure: red city, grey factory and blue ship. 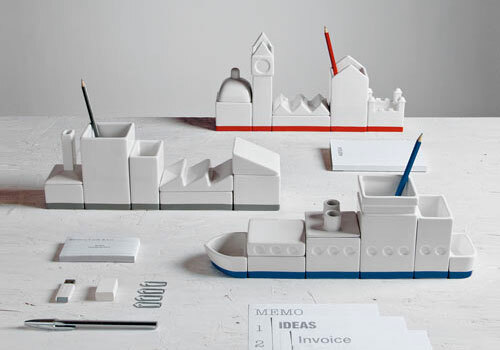 The pieces can be configured in different ways. 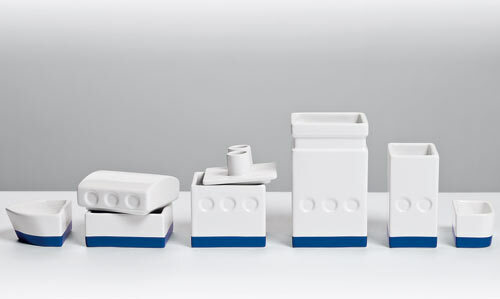 For another fun Seletti product line, check out Palace Collection of modular dinnerware by Alessandro Zambelli, based on the floorplans of Florentine-inspired Renaissance homes. I love this line! If it were on my desk, I think I’d just play with it all day long instead of getting my work done.